2. 马谨，Davide Fassi，娄永琪. 新兴实践：发展中的探究[M]. 上海：同济大学出版社，2015. 4. Lou, Y., Valsecchi, F., & Diaz, C. (2013). Design Harvests: An Acupunctural Design Approach Towards Sustainability. Gothenburg: Mistra Urban Futures. 2. Lou, Y., Fan, F., & Ma, J. (2016). Mission D, an Interdisciplinary Innovation and Venture Program at Tongji University. In B. Banerjee, & S. Ceri (Eds. ), Creating Innovation Leaders: A Global Perspective (pp.201-213). Cham: Springer. 3. Lou, Y., & Ma, J. (2015). A 3D ‘T-shaped’ Design Education Framework. In E. G. Carayannis, G. Bast, & D. F. Campbell (Eds. ), Arts, Research, Innovation, and Society (pp. 287-294). Cham: Springer. 4. 娄永琪. 新三农、大设计[A]. 许平. 设计的大地[C]. 北京：北京大学出版社，2014. 57-61. 5. 娄永琪. 社会创新和可持续设计视角下的“城乡中国”研究主题[A]. DDF.UXPA中国. 用户体验百家谈（十周年纪念辑）[C]. 北京：电子工业出版社，2014. 166-172. 6. Lou, Y. (2013). She Ji—Change for Sustainable Futures. In S. Walker & J. Giard (Eds. ), The Handbook of Design for Sustainability (pp.346-362). London: Bloomsbury Academic. 7. Lou, Y. (2012). Jiashan No.1 Middle School, Zhejiang, In L. Delsante (Ed. ), From Research to Design, Fondazione La Triennale di Milano (p.93). Bologna: Compositori. 8. Lou, Y. (2012). New Jindai Primary School, Chongqing, In L. Delsante (Ed. ), From Research to Design, Fondazione La Triennale di Milano (p.92). Bologna: Compositori. 3. 娄永琪. 全球知识网络时代的新环境设计[J]. 南京艺术学院学报，2017(1): 3-9. 4. 娄永琪. 设计的疆域拓展与范式转型[J]. 时代建筑，2017(1): 11-15. 5. 娄永琪. NHCAS视角下的人机交互、可持续与设计[J]. 装饰，2017(1): 66-70. 6. 马谨，娄永琪. 基于设计四秩序框架的设计基础教学改革[J]. 装饰，2016(6): 108-111. 7. 娄永琪. 从“追踪”到“引领”的中国创新设计范式转型[J]. 装饰，2016(1): 72-74. 8. 娄永琪. 转型时代的主动设计[J]. 装饰，2015(7): 17-19. 9. 娄永琪，季祥，陈若. 生长中的可持续校园——梁平县新金带小学设计[J]. 建筑学报，2013(7): 44-51. 10. Lou, Y. (2010). Enabling Society: New Design Processes in China The Case of Chongming. The Journal of Design Strategies, 4(1), 22-28. 11. 娄永琪. 创新之道 创意、创新和城市[J]. 时代建筑，2010(6): 16-19. 12. 娄永琪. 一个针灸式的可持续设计方略：崇明仙桥可持续社区战略设计[J]. 创意与设计，2010(4): 33-38. 1. Ma, J., & Lou, Y. (2014). Restructuring Design Foundation based on the Framework of Four Orders of Design. In J. Ma, D. Fassi, & Y. Lou (Eds. ), Emerging Practices: The Developing. Proceedings of the Emerging Practices: Design Research and Education Conference (pp. 175-189). Beijing: Publishing House of Electronics Industry. 2. Liu, W., & Lou, Y. (2014). The Sino-Italian Collaborative Design Platform: Designing and Developing an Innovative Product Service System. In P. L. P. Rau (Eds. ), Proceedings from 6th International Conference, CCD 2014, held as part of HCI International 2014, Heraklion, Crete, Greece, June 22-27, 2014: Cross-Cultural Design (pp. 766-774). Cham: Springer. 3. Lou, Y . (2014). Design for the Public Usage of Rural Surplus Space (PURSS): The Case Study of DEISGN Harvests. In P. L. P. Rau (Eds. ), Proceedings from 6th International Conference, CCD 2014, held as part of HCI International 2014, Heraklion, Crete, Greece, June 22-27, 2014: Cross-Cultural Design (pp. 766-774). Cham: Springer. 4. Lou, Y., Valsecchi, F., & Pollastri, S. (2011). A network of Social Collaborative Innovation Hubs, In N. Roozenburg, L. Chen, P. J. Stappers, et al. (Eds. ), Proceedings from IASDR 2011: 4th World Conference on Design Research: The rules of unruly product design. Delft: Delft University of Technology Press. 5. Lou, Y. (2008). Calling for ‘She Ji’: Rethinking and Changing the Changes in China. In C. Cipolla, & P. Peruccio (Eds. ), Proceedings from International Design Research Conference Changing the Change: Design, Visions, Proposals and Tools (pp. 85-90). Turin: Allemandi Conference Press. 1.“Fostering Economic Growth by Design”,Keynote Speaker at 2017 IFI CONGRESS and African Culture & Design Festival.Lagos, Nigeria. 2017. 2.“A new era of design activism”, Keynote speakerat “Making, Things, Happen”, IDSA International Conference 2016. Detroit, USA.2016. 3.“Crossings: HCI, design and sustainability”,Opening Keynote speaker at “Crossings”, ACM CHI 2015 Conference (33rd Annual ACM Conference on Human Factors in Computing Systems). Seoul, Korea. 2015. 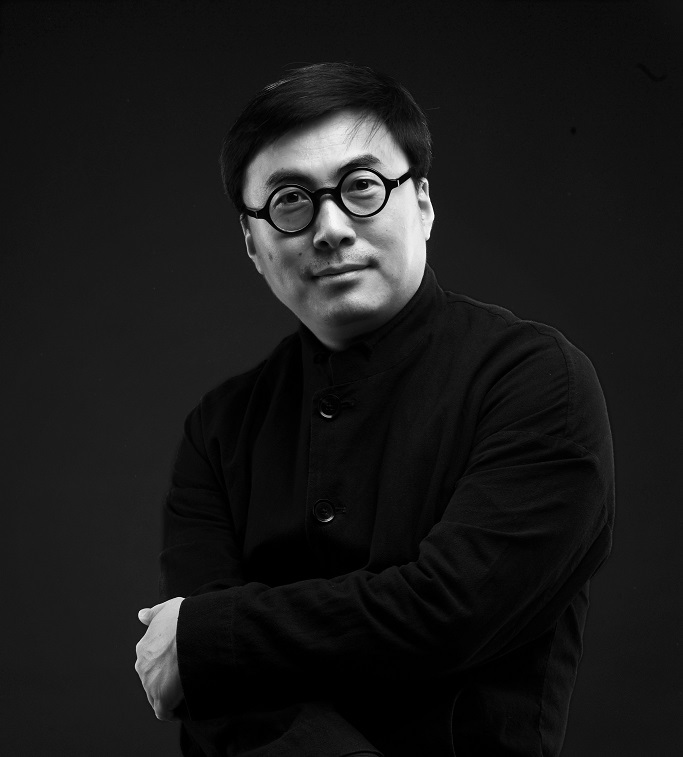 4.“Design Harvest, an acupunctural design approach towards sustainability”, Invited speaker at Design Strategy Conference 2014,Illinois Institute of Technology(IIT). Chicago, USA. 2014. 5.“Changing design education for innovation: A 3D‘T-shaped’ Design Education Framework”, Keynote speaker at AsiaED Conference,BODW 2014. the Hong Kong Polytechnic University, Hong Kong, China. 2014. 6.“Designing the design policy: from catch-up toleap-frog”, Keynote speaker at World Design Capital 2014 Design Policy Conference, Cape Town, South Africa. 2014. 7.“Designing for urban-rural interaction”, Keynote speaker at Global Urban Agriculture Conference. Linköping, Sweden. 2013. 8.“DESIS, design for the new restorative economies”, Keynote speaker of Design for Billions, Parsons School of Design.New York, USA. 2011. 9.“An acupunctural design approach towards sustainability”, Invited speaker at Inclusive Design Conference 2011. Royal College of Arts, London, UK. 2011. 10.“Chinese sustainable design approaches and social innovation”, Keynote speaker at INOVABA Social Innovation & Sustainability Conference. Rio, Brazil. 2010. 11.“She Ji for sustainability”, Keynote speaker at Changing the change International Design Research Conference. World Design Capital, Turin, Italy. 2008.